Let's do a quick count here. Terraria was originally a PC game, then it made its way to Xbox Live Arcade and PlayStation Network. Mobile versions hit in late 2013, eventually adding co-op for both iOS and Android versions. A massive update was released for the PC version, practically turning it into a new game. 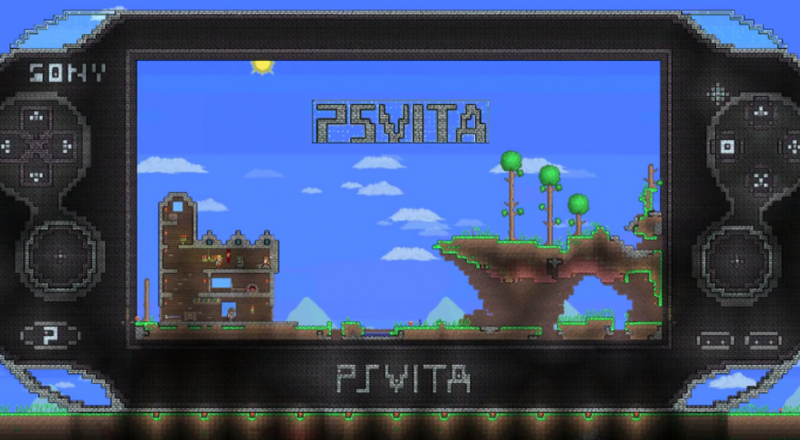 And coming in last but not least, PlayStation Vita gets its turn at crafting and mining. At least it's a full-featured port that supports eight player co-op! 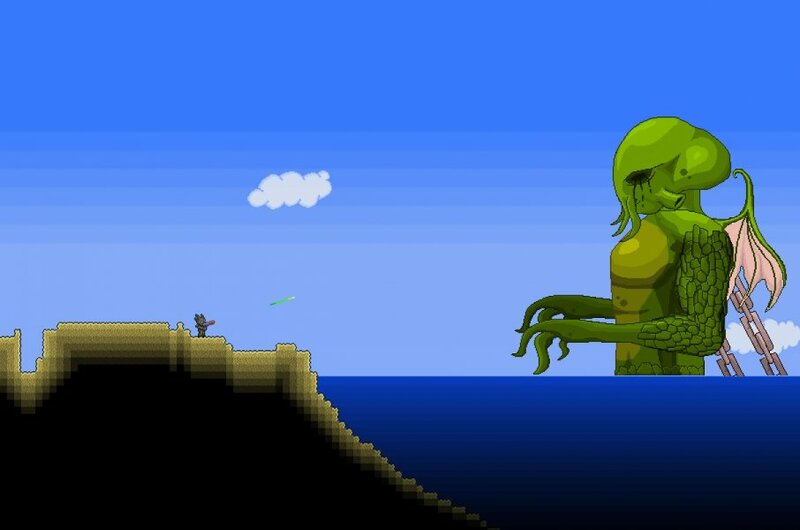 The Terraria 1.2 update is currently in the works for console and Vita versions of the game. Pieces of it are leaking out in smaller patches, with the most recent one featuring some teasers once the big switch is flipped. Until then, there's still hundreds of crafting recipes, over a hundred monsters, a few dozen block types and NPCs to encounter, and both achievements and leaderboards on PSN. It's not like you'll be hurting for something to do, especially not with such a full-featured game on the go.